SOMACIS Inc. is honored to have been chosen as a recipient of the three star 2016 Operational Excellence Supplier Award from Raytheon Integrated Defense Systems (IDS). The award has been given in recognition of the exemplary performance in helping Raytheon deliver Mission Assurance to their customers. 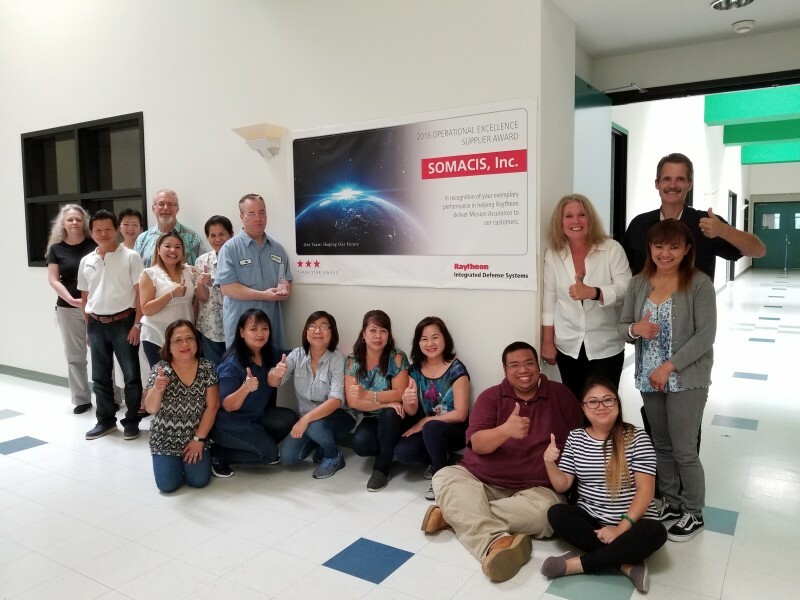 In SOMACIS we believe that building valuable partnerships with our customers is important. We thank Raytheon for this award and we are proud to be their trusted partners.